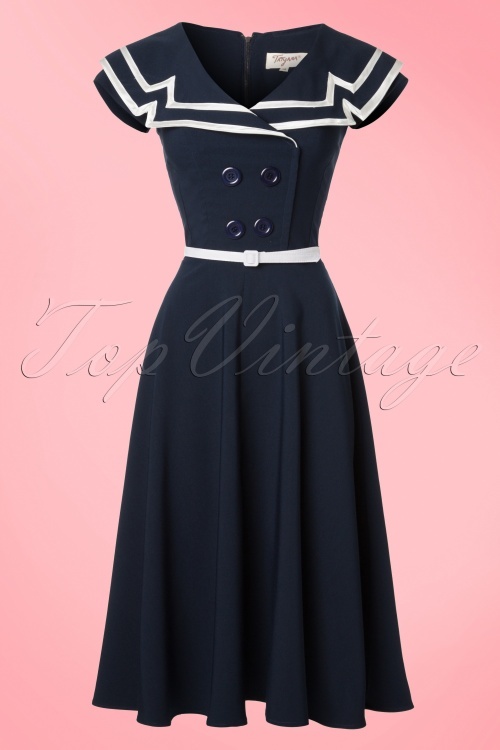 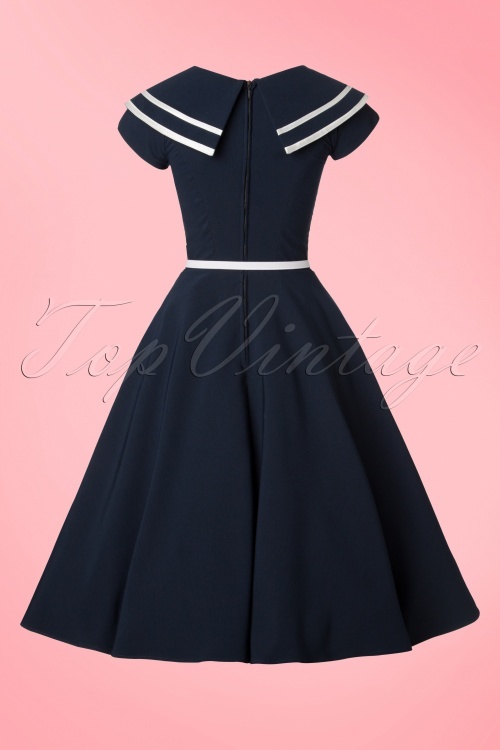 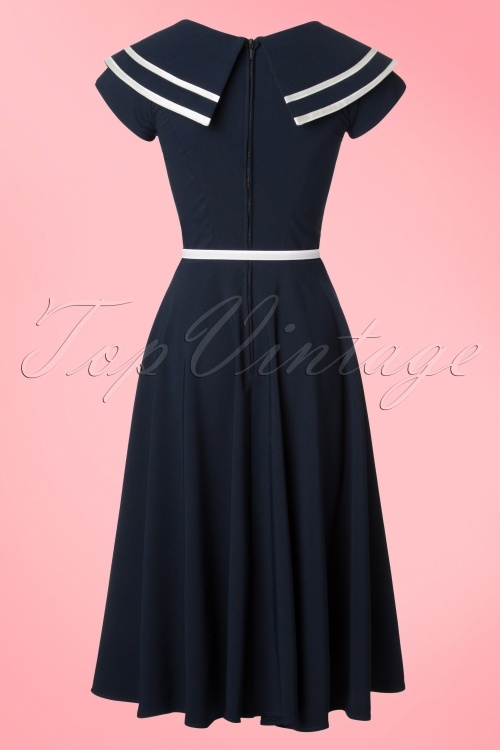 This 50s Captain Flare Dress is a real must-have for the Sailor girls among us! 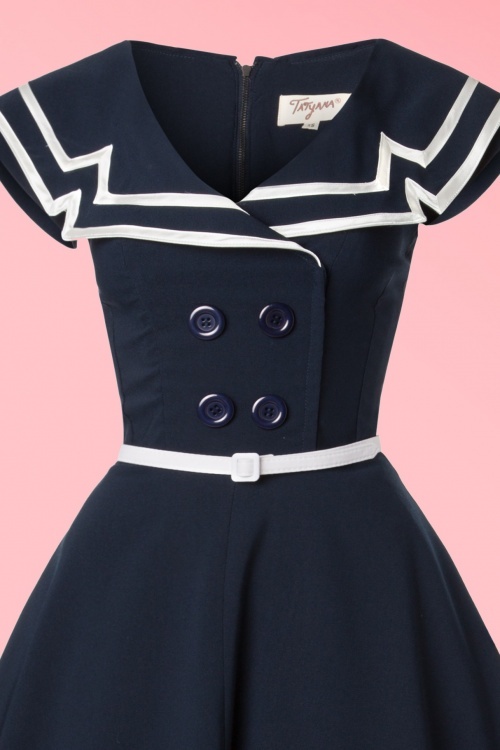 This Sailor swing beauty features faux double breasted buttons and a wide over the shoulder collar that forms a beautiful contrast with the waist, making it look real petite ;-) The collar is finished off with white satin trims for a nautical touch. 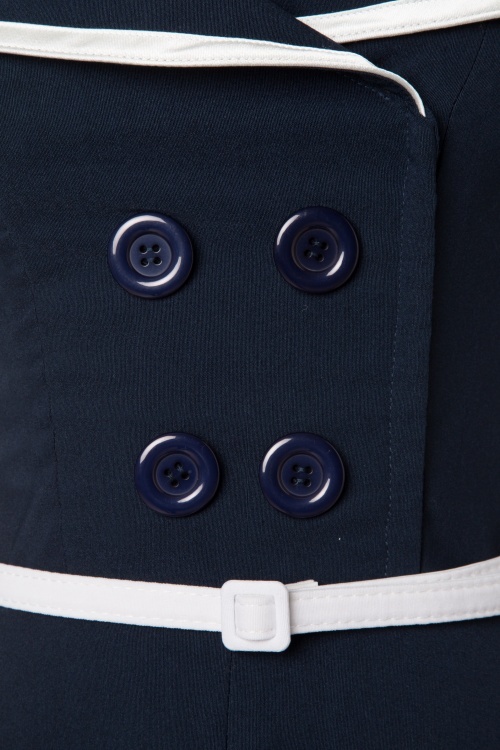 Made from a firm yet supple fabric with a light stretch in a typical navy blue colour and finished off with a white fabric belt. 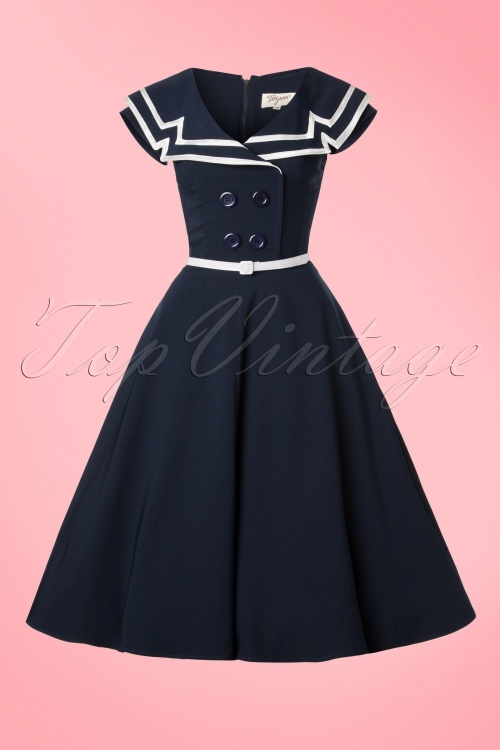 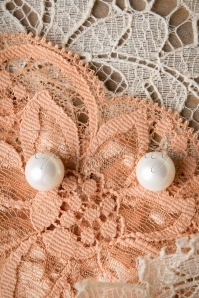 Ladies don't let this one sail out of our shop, order her quickly!